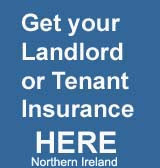 Have just received a notification from Irishlandlord.com which looks interesting if you are an investment property owner. Do you have mortgage on your home or on an investment property? Are you burdened with mortgage debt? In negative equity? or is your interest only period coming to an end? Mortgage debt is now the number one source of anxiety for most property owners. With the collapse in the property market many property investors are experiencing reduced rental income, negative equity, increasing interest rates and in many cases increasingly aggressive lenders. So what should you do? How do you got about engaging with lenders in a way that achieves real results. How do you achieve mutually acceptable solutions that your lenders will agree to? A former senior banker, with 30 years' experience who now helps clients to reach agreements with lenders that provide a long-term solution and allow them to get on with their lives. Early bird tickets are €20 each or two for €30 - PLACES ARE LIMITED so book today Here!